At the Lenox Square Shopping Center's Adidas store in Atlanta, Georgia it is rare to find a toy gun on the premises, considering they aren't sold at shoe stores. That's why when an 8-year-old boy found a “toy gun” in the store, his mother was quite curious. However, the curiosity nearly led to a dangerous disaster. As the child's mother saw him with the gun, she decided to walk up to it, and strangely enough attempted to prove it was not real. The way she thought to do this was to pull the trigger of the gun. Well, as it turned out, the firearm was not a toy at all. Rather, it was a loaded .22 caliber handgun. So when the mother squeezed the trigger in an attempt to prove the firearm was a fake, a very real round exited the barrel and hit a store wall, thankfully missing any other customer. The local police were called to the scene and besides dealing with a shocked mother and child, were thankfully not stepping onto a grim crime scene. According to reports from the mall, there was no further drama following the incident. Now while this incident ended about as well as it could given the circumstances, it does speak to the fact that firearm knowledge can save lives. This family wasn't planning to own a gun or shoot a gun that day, and from the way the mother acted, it is likely that they are hardly ever around guns. But situations such as this do occur, and if there is a chance that you or your children will ever be around firearms, it is the smart thing to do for both yourself and your family to be in the know about handling them. 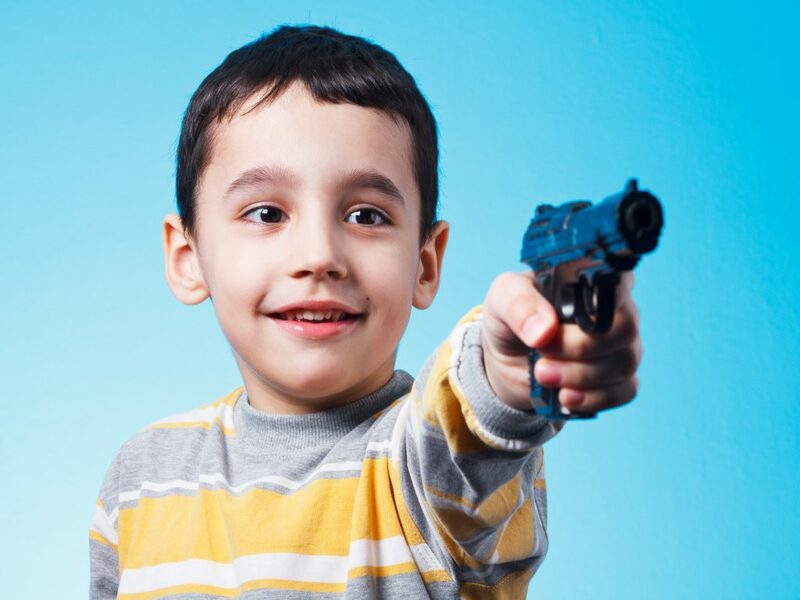 Even if there aren't any gun-owning plans in your future, having the proper knowledge may help avoid incidents such as this and can teach your child a valuable lesson about the fragility of life and death so that he or she may avoid a potentially fatal accident. And if you are the adult in this situation, a little bit of studying on this subject might teach you to NEVER test if a gun is real or not by pulling the trigger. In fact, you should do as the gun safety rules imply, keep your finger straight and off the trigger until you intend to fire. What do you think of this negligent discharge story? Do you know anyone who might make this mistake? Let us know in the comments below. Tremendously irresponsible conduct of the mother, and equally disturbing negligence on the part of the previous owner of the handgun. Every time I catch myself saying ‘no one is stupid enough to do ____’ I think of stories like these, and remember to never underestimate the towering levels of stupidity that people can achieve. I missed the part where the woman was arrested for reckless discharge of a firearm and the child turned over to child services. What is the problem Atlanta?